So, you are living in your house for quite some time now and you have never run into a trouble, even though it’s over ten years of age – and you have definitely never heard of anyone you know having an electric fire or becoming electrocuted. Other than flickering or dimming lights you’ve experienced nothing unusually dangerous, whenever you turn in the vacuum cleaner, right?Huge numbers of people believe this way – they tuck away the idea of addressing the dangers immediately. They know they should and can get to them shortly… eventually… just as soon as they… whatever. Procrastination is quite typical amongst us individuals, is not it? We’re not planning to do anything until completely forced into it! We all know though; any situation is rarely helped by delaying action. Black mold growing in a toilet or rotting wood on a deck are apparent signs you need to take action soon. An immediate and effective reaction is demanded by a howling baby. If not addressed now ignoring squeaky brakes in your vehicle can lead to a calamity. Naturally, the common component of the difficulties is that you learn about them. There’s a visual, auditory, tactile, olfactory (it stinks!) Or flavor facet of the issue and also you shortly will not have any choice, yet to act! Unfortunately, the dangers of old and obsolete electrical wiring, outlets, switches, breakers, panels, etc. do not present apparent indications of deterioration. They’re invisible simply because they are most commonly behind walls or within the devices themselves.Electrical terminology sometimes describe the events leading up to an electrical breakdown as ‘faults’ – as in ‘earth faults’ or ‘arc faults’. Earth faults are an effect of improper grounding within an electrical system. Since electricity is constantly attempting to go to ground (literally the earth beneath our feet) along the path of least resistance, it might find another cable – or family member – as most suitable for the journey. An arc fault is what you would generally understand as a short or a discharge in a loose or incorrectly wired electrical connection. It does not require lots of imagination to determine how this can cause fire. 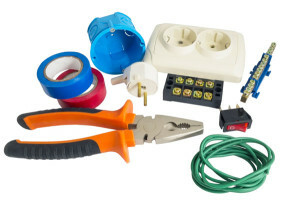 These perilous conditions develop because of years of deterioration in all things electrical in your house. It is significant to notice these fixtures, wiring, devices, safety features and also the approaches to install them were state – of – the art back when your house was constructed or renovated. However, as technology races at speed, the old services are straining to keep up with the demand of contemporary appliances and other electrical devices. Much like airplane crashes, our governments learn from, and legislate new regulations to prevent, the catastrophic results of practices and obsolete electrical devices. For example, when authorities studies conducted jointly over the previous five years revealed the reality that most electric fires happen in bedrooms, both Canadian and American authorities now require installations of arc fault circuit interrupters (AFCI) on bedroom circuits. These little babies will shut the power off to the bedroom circuit within the same split second it requires an arc to happen. A concurrent discovery was that most fire related deaths occur not as an effect of fire directly, but from inhaling noxious fumes after the victims are rendered unconscious within their slumber. This revelation gave rise to the regulation that requires smoke detectors to be installed immediately outside bedroom doors. They also have to be powered by the AC current from your house with battery backup. In Addition, they have to fully be wired together so they all scream danger when smoke becomes present everywhere within the home. Deaths arising from electrical fires were reduced drastically, since these two changes in the Code were implemented. The evidence is really in the results and you ought to pay attention to these and other Codes. Folks make the usual error of thinking circuit breakers will protect them. Don’t make the same error. To begin with, the breakers are made to safeguard your circuits not you. The number of current required to trip or shut off the breaker is at least 1, 500 times more than what is needed to give a heart attack to you. Secondly, if they’re worn through the past few years from heat and use, they might not even trip because they’re locked into position! They also, like anything else these days, get old and worn out and will sooner or later need repair or replacing. All things electrical within your house will gradually fail – it is physics! If they’re not fixed and updated, then the effects could be devastating. That is why electric defects fall into the class of quiet killers; you cannot discover them until they rear their ugly and maybe fatal heads. 200 and roughly 20 Canadians Americans die of electric fires or electrocution each year. This really does not look like a tremendous amount, but try telling that to the families of the victims. Ignoring chances like these is like ignoring the sole bullet in a revolver with a thousand round cylinder; spinning the cylinder, holding it to your own head and pulling the trigger. Sure – The chances the hammer will hit the bullet are 1 in a thousand, but why would you take that threat whatsoever? You’d replace the balding tires in your car to ensure your household’s security, would not you? Of course you would – you would not take so much as the lowest danger those tires would blow or go flat at just the wrong time. Your family’s security needs no less of your own attention to the electrical system in your house. If your house is over a decade old, it’s a must you get an electric safety audit to cope with them instantly and see what defects your system has. Get an examination by a capable and seasoned master electrician for a precise appraisal.